"Save human life and civilization for an infinite future"
2052-The Hawking Plan by Ira Glickstein is a sci-fi novel updated completed. 2052-The Hawking Plan has not been reviewed yet. 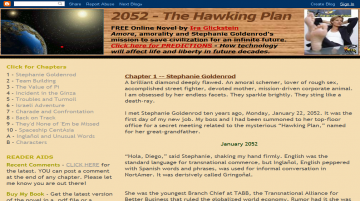 2052-The Hawking Plan has not been recommended yet.